Boar's Head Inn sits on rolling Virginia countryside with a history dating nearly 300 years, including ties to Thomas Jefferson. The 3,000-acre tract that our resort resides on was part of Virginia's first land grant in 1734, and Terrell's Ordinary, an inn for westward travelers, opened at the exact location of Boar's Head in 1759. In 1800, Thomas Jefferson convinced Eliza Trist, a friend whom he made at the 1782 Philadelphia Congress of the Confederation, to relocate to Albemarle County. Later, Jefferson assisted Eliza’s son, Horé Browse Trist, to purchase land which he named Birdwood after a country vicar whom he had met in England. The Trist family took up residence at Birdwood shortly thereafter. Between 1819 and 1830, William Garth became owner of the property and built his estate home, which he named Birdwood. The home’s architecture exhibits several characteristics common to pavilions on the lawn at University of Virginia and other area residences constructed by Jefferson’s builders. During this era of ownership, Birdwood became a successful farming operation. Garth also created the Hole and Corner Club, experimenting in agriculture and crop returns. The first club formed at Birdwood prompted the founding of numerous other clubs throughout Virginia. In 1834, Martin Dawson constructed a waterwheel gristmill on the banks of the Hardware River, at the southern boundary of his Bellair land tract. Dawson was a prominent scholar, magistrate, and financial advisor to Thomas Jefferson. Upon Dawson’s death, a large portion of the Bellair land was willed to UVA, which in turn sold it and utilized the funds to build the Rotunda annex, as well as six student dormitories now known as Dawson’s Row. Birdwood is also steeped in Civil War history. In 1865, Ada Bankhead, granddaughter of William Garth, watched as Union scouts seized Birdwood and pillaged its contents. Days later, General Custer arrived to apologize to the family and grant them a stay from further intrusions. During this time, the gristmill also survived burning, despite the orders of Generals Grant and Custer during their march through Charlottesville. According to local legend, Martin Dawson’s sound construction techniques, together with a fortuitous rain, prevented the building from burning to the ground. The Birdwood mansion and property saw a number of owners prior to its 1909 purchase by Hollis Rinehart, owner of a civil engineering and construction company. Under Rinehart’s ownership, a 175-foot water tower and swimming pool were constructed. Additionally, Rinehart rebuilt the mansion in the Colonial Revival style to recapture its original Classical character. As part of these efforts, two rooms were created to house large receptions, and the south porch was enclosed. In 1928, under the ownership of Henry L. Fonda, formal gardens and entrance gates were commissioned in the style of English and Italian Renaissance designs. Fonda also utilized the property to raise show horses and Hereford cattle, a tradition which was continued by owners through the mid 1960s. 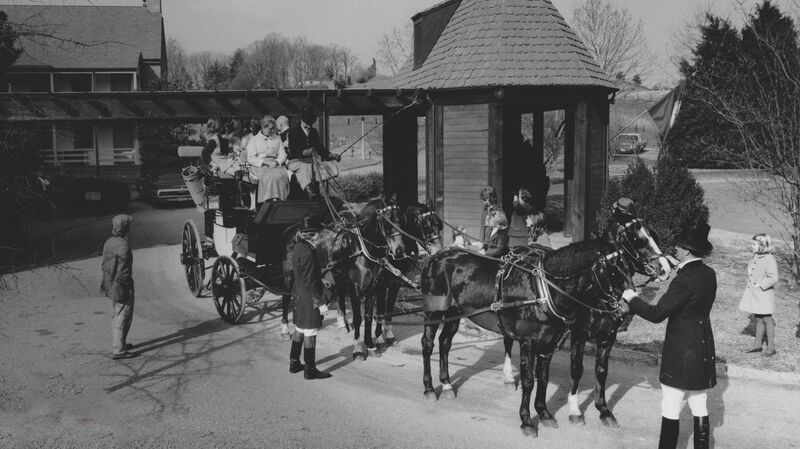 In 1959, John Rogan and John Rhea purchased 321 acres of Ednam Estate, adjacent to Birdwood. Rogan was a graduate of UVA, a US Army Air Corps World War II veteran, and a local co-developer of Barracks Road Shopping Center. 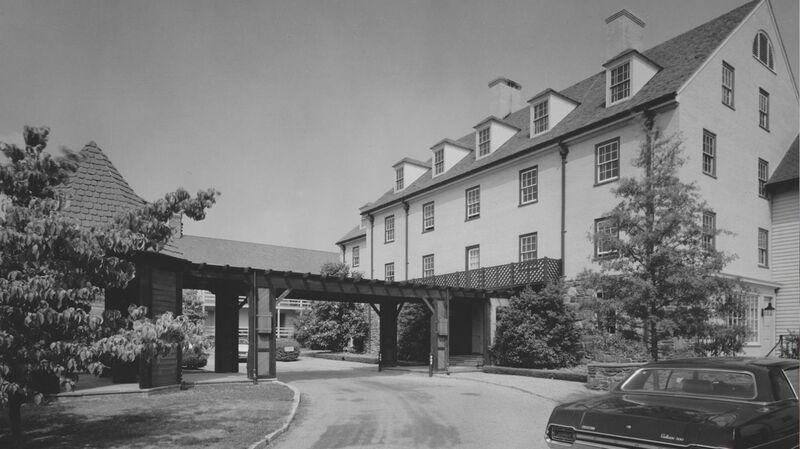 While creating Boar’s Head Inn, Rogan integrated English tradition with Virginia history. Recognizing an opportunity to preserve and transform a treasured Virginia artifact, Rogan purchased the gristmill, and after carefully dismantling and numbering each piece, had it reconstructed at its present location. Fieldstones from the gristmill’s original foundation were used in the fireplace and in the arched stone entrance below the Ordinary Room. The heartwood pine beams which form the structure are up to 43-feet in length and extend upward through two floors of guest rooms, and downward into the Hearth Room. The flooring in the restaurant of the main inn consists of the old pine planking from the mill and still bears the scars of barrels once rolled across its surface. Lumber from the former grain bins was redressed for paneling in the main inn. The mill’s massive grist stones now lie in the courtyard located below the dining room. 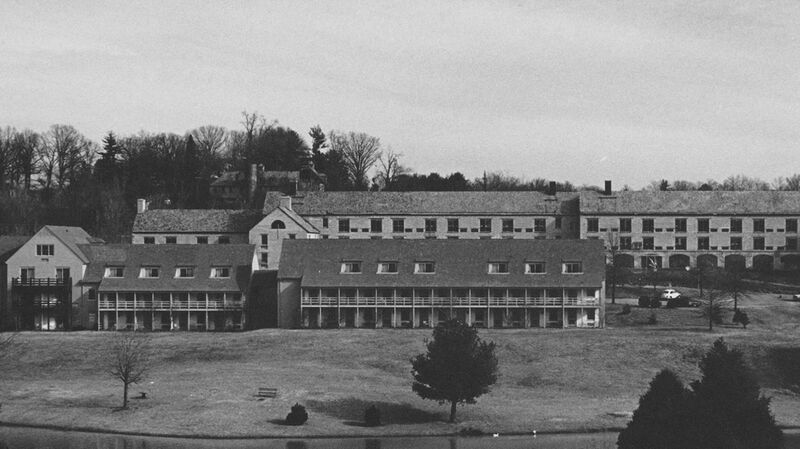 Boar’s Head Resort was acquired by the University of Virginia Foundation as a gift and purchase on October 31, 1989. The Foundation had previously acquired the Birdwood property in 1967. Today, the 573-acre resort boasts 175 guest rooms and suites, 22,000 square feet of meeting, wedding and event space, a spa, four restaurants, and extensive sports and fitness facilities.